No, this rule has no ramifications for the H1B visa holders who are already in the US. This condition will only become applicable for such visa holders once their current Visa will expire and they will require a new H1B visa. Once they have to get a new visa, the existing salary limit for the visa will also become mandatory for them. When the situation arises that the candidate needs to get a new H1B visa stamped, then he has to, show a salary scale of 1,30,000 USD per year. Even though you might have approval for your H1B visa you can’t get it with a lower salary scale than 1,30,000 USD per year. The H1B visa is legitimate for 3 years, after which the candidate should get an extension of 3 years before the expiry of the current visa. Otherwise, he will have to leave the country before this renewal is granted to him. The candidate can, however, work for 240 days after the expiry of his H1-B status for the current employer if he has filed an application for renewal of his H1B status in time(1 month before expiry). 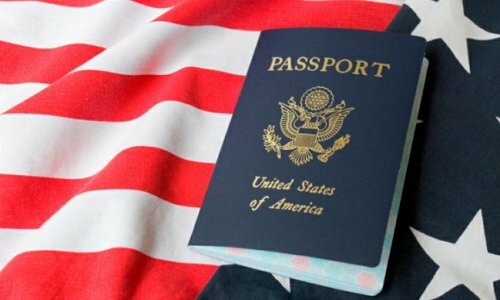 So, make sure that if this much time is still pending before your expiry of the H1B visa, then it’s the best time to file your application for the H1B visa. If no decision has been made on the H1B extension petition and 240 days after it’s expiry have passed, then the candidate does not have the right to work anymore but he can still live in the US even though his 240 days grace period is over. This stay is only allowed till no decision has been made on his H1B visa. The extension of the H1B visa requires the same documents which were needed when you filed this visa for the first time. Since the USCIS needs a time of 6 months, to take a decision on the petition for an H1B extension, the candidate should file for such an extension ideally 6 months before the expiry of his existing H1B visa. He should have gained the approval from the employer for his H1B extension. This approval must be shown through an I-797 approval notice which is generated by USCIS. He should also submit his I-94 given to him the first time, he entered the US, on the H1B visa with its expiry date yet to come. He should fill the form, I-129 on his behalf. He should pay the fees of 460 USD for it. In case, he requires the petition for the employee’s H1B extension to be processed quickly, he should be ready to pay a premium processing fee of 1225 USD. The H1B candidates no longer get an I-94 form to be filled by them when they enter the US. In fact, the US Custom and Border Protection(CBP) directly take all the information about the immigrants through their flight records. But an I-94 number is still generated for such H1B immigrants.